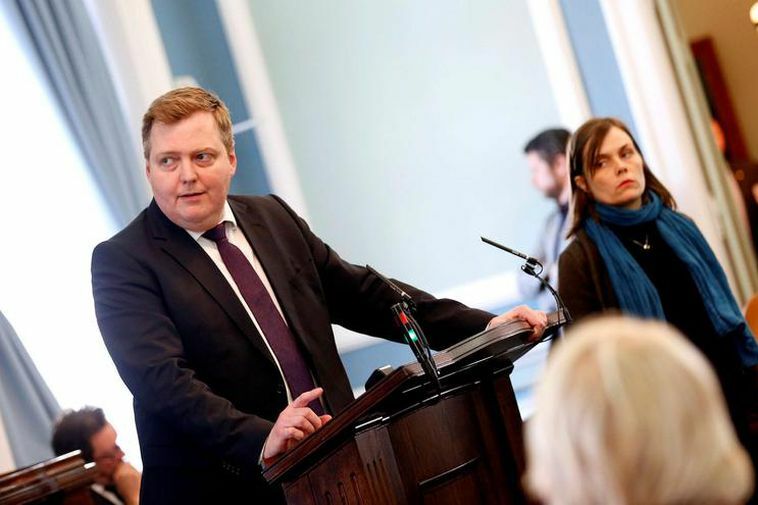 Sigmundur Davíð Gunnlaugsson, former PM and former leader of the Progressive Party who was implicated in the Panama Papers last year, has announced the founding of a new society called Framfarafélagið (The Progressive Society). He says he's not creating a new poltical party but that the society will probably develop with time. The society will, according to Gunnlaugsson, draw in people from all areas of society, both members of the progressive party, people from other political parties and people who are not involved with politics. "One could say that it's a mixture between a national affairs society and a thinktank and it's purpose is to create a platform for discussion on all kinds of social problems, where ideas can be presented as well as solutions," said Gunnlaugsson speaking in an interview with today's Morgunblaðið. "It's not created as a new political party. I hope that political parties can however benefit from some of the ideas created there." He adds that he believes that the Progressive Party is damaged from the political turmoil within it in the past months. "Disagreements and a lack of unity are standing in the way of the party developing further and becoming a strong force within Icelandic society." Asked whether why he didn't simply put these ideas forward within the Progressive Party as an MP for the party he replied, "The situation within the party does not give me room to do so. But I hope that members of the progressive party will join the society and that it will help strengthen the grass roots within the party." The new society will officially be founded on Saturday with a formal meeting.